How to Build Your Online Brand using Youtube AND a Blog! | Let's Biz Up! Being a successful internet entrepreneur means that you have to connect with your audience. Now more then ever! YOU need to build a relationship with your potential customer in order to build trust & confidence in YOU! Once you’ve established that relationship, once you’ve shown that YOU provide value for money, it will become much easier to build a successful online business. So please take special notice of three (3) things that I’ve already emphasized… In the title I speak about Youtube AND a Blog! And in the first paragraph I talked about YOU! The foundation of a successful online business starts with these 3 things. b)that gained your trust & confidence through the selling process (e.g. giving good value for money, gives good advice, etc.). Well it has all to do with relationship, trust, confidence and appearance! People buy from people/companies they trust! How to build Your Online Business, Your You Inc.? Building a sustainable online business is not about the product… It’s about YOU, it’s about “ME“. You need to build a business around Yourself! The product is subordinate. Once you’ve established a reliable “Me Inc.“ or “YOU Inc.“, business will become much easier and you can sell anything you like. Read more about the You Inc. concept here. So HOW do you build your “YOU/ME” business? Besides putting a lot of effort into it, educating yourself by reading books and following online video training courses, You need to create yourself a Blog and start promoting your content with the help of Youtube, there’s no way around it! The use of online video’s is still growing day by day and the effect of efficient video branding is enormous! Just read this recent article about how YouTube is steering brands into the Future. Because in this fast moving world of today people are more & more looking for the “real” thing, something genuine. The best way of showing that is with the use of video’s, in combination with a blog for more background information. Recording a Youtube video (e.g. with this cool software) sounds easy but there some basic principles you should take in consideration. In the next paragraphs I will give you some useful tips & tools for making quality (sales) video’s. 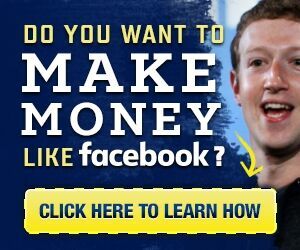 Also I can suggest you to take a look at this Online Video Ads Course to create Viral Video’s. Video length: not too long, average attention time of people is 1,12 min. You should realize that when people watch the whole video you get a better ranking within Youtube/Google! In other words, if people stop in the middle of the video, you’re video is probably not good enough… Everything get’s measured and analyzed. No Sales Pitch: give value, pack your video with good content & info! This will help you to achieve no. 1: people watching the whole video. One Idea, One Concept, One Solution: focus on one subject, don’t pack your video with too much content of different things: FOCUS and be Consistent! Funnel your video’s: attach a marketing funnel going like this – Video > link to Website > Website with an option to join a list (optin) > Presell video (introduction ~ relationship) > Follow up. Upload first in “private” mode: as long as your video is in ‘private’ mode, Google will not index your video yet. Therefore you still have time to adjust and make changes to the video before you release the final cut of the video which you want Google to index. Just then you change the setting to ‘public’ and Google will only index the end result, the right video. Pattern Interrupt: disarm viewer’s defense, add a surprise element. Call to Action: encourage people to take a certain action. Can be an opt-in, watch another video, read your article, etc. Upload new video’s frequently: the more you upload quality video’s, the higher your YT ranking will be. Use Screen Capture software: when making video presentations with e.g. PowerPoint, screen capture software will come in handy. Just to name a few: Camtasia, Screenflow and Jing. Use Youtube Annotations: with the annotations you can add text and links to your website to encourage the CTA. Verify your website: if you want to use YT annotations you need to verify your website at Google webmaster tools. Also for reliable website statistics this is necessary. For maximum value you need to show Youtube you’re serious! Master the platform, know everything about and UPLOAD! For best results consistently use all aspects of Youtube. Subscribe to channels you like and which are relevant to your business > Interact! Complete the “About” section! It’s the place which is linked to your channel when sending direct YT messages. Create playlists. With the playlists you can organize your channel so people can easily find what they’re looking for. Like, comment, reply, etc. Again, interact with other Youtube channels & subscribers. Look at “Creator Studio” in the top right corner of your Youtube channel, underneath your logo/avatar, for more options like Analytics, Branding, Community, Video Manager, etc. Share your video on Twitter, Facebook, Google+, Linkedin, Reddit, etc. Consider to use paid ads to promote your video’s. Use Google Adwords for video. Option 2: True vie in Display – Video ad appears alongside other YouTube videos on the right side of your screen with your search results. To finish up this brief overview let me also introduce to you some very useful Keyword Research Tools. Because after recording and editing your video, it’s imperative that you give your video the right name in order to be found between the billion video’s circling around the internet. Not only the amount of video’s is a “problem”, you will also be competing with other YT subscribers who are aiming at the same audience. Targeting your audience with a catchy & to-the-point video title is therefore essential. Consider to use Long Tail Keywords with not too much competition (5000 to 10.000 search results). With this strategy you have much more chance to be on top of the Google search page. SEO Book Keyword Tool – Access here. Hittail – Especially good for Long Tail Keywords – TIP! – Access here. I have a “Top of the Bill” Business Opportunity which I highly recommend. If you’re looking for a Top Tier Business Opportunity with high ticket sales and also a quality step-for-step video tutorial, then click here. Both systems are real money making opportunities. Choose the one which fits you most and be ready to receive a lot of extra Free training material when joining my team! *If you likes this post, please feel free to comment or to share.